A print that will swoop you away to a beach vacation! Scoop neck with a dropped shoulder. 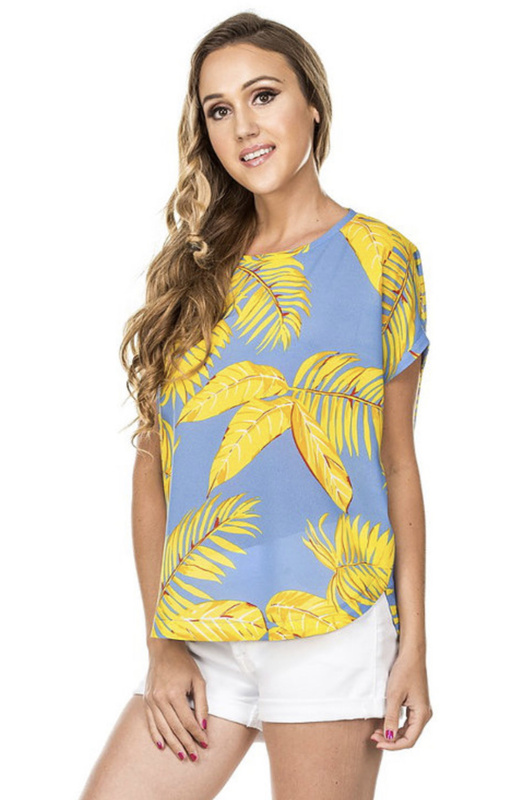 Pair with your favorite skinny jeans or shorts and you are ready for summer!